I Got many requests from all over the world about Pro E models. Different pro e projects, This page is only for Pro E specialist or Pro E students. Here you can get different Pro e, Cad models. If you have any more than you can send it to us and we will post here. Design great product faster with free CAD collaboration, free CAD models and access to the world, largest community of mechanical engineers. “free pro/engineer (pro/e) part model library, tips and techniques. Models including pem hardware, thread forming screws, spur gear, bearing, and rotor clip. Get valuable Pro/Engineer tips, downloads, exercises and answers to your questions. 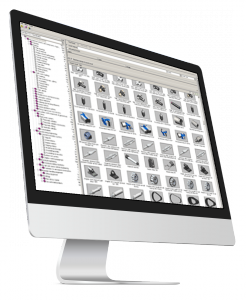 Standard Parts Library seamlessly integrated with Pro/ENGINEER: you launch TraceParts directly from CAD software and the selected parts are automatically inserted into your assembly as native 3D models. 100+ millions of manufacturers’ and standard parts coming from all the leading parts suppliers. TraceParts is a critical and unique resource for every mechanical designer in the tooling, machinery, aerospace and automotive industries: fasteners, bearings, shaft and couplings, springs, gears, flexible drives and transmissions, support and locating elements, linear motion systems, flanges, reducers, elbows, pneumatic and hydraulic fittings, cylinders and accessories, profiles, mold & die components, … including thousands of technical data sheets. CAD Integration: you launch TraceParts directly from Pro/ENGINEER and the selected parts are automatically inserted into your assembly as native 3D models (.asm or .prt files), with all their detailed BoM attributes (part name, ordering number, manufacturer name, standard, weight, …). Power: you can use different search engines, classifications and 2D/3D viewers to quickly browse the huge parts database: the right component is correctly inserted from the first time. 2D views: once a part has been selected, you can automatically generate all its 2D views in either DWG or DXF format. PDM/ERP integration: TraceParts provides a standard and out-of-the-box integration with several PDM and ERP systems. Customization : an optional module available in the Professional edition allows you to link TraceParts together with an external data source, and then associate customized attributes of PDM or ERP type (internal references, price, part status, etc.) to the standard data directly coming from suppliers’ catalogs. You can also administrate the parts database by preventing the use of specific catalogs or even specific part numbers. Updates: an exclusive maintenance contract allows you to download new parts catalogs and updates for the application and CAD drivers.